Release of Outlook Business Contact Manager Migration Assistant | Making Office ROCK! I’m pleased to announce that after seven months of effort, my Business Contact Manager Migration Assistant tool is finally complete and has been published to GitHub: https://github.com/elegault/BCMMigrationAssistant. 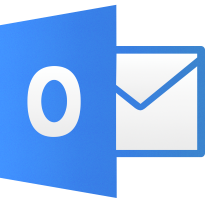 This tool to migrate data from Microsoft Outlook Business Contact Manager (BCM) to Outlook Customer Manager (Office 365) automates migration of business contacts, accounts, and opportunities to Outlook Customer Manager (OCM). The tool is free and all source code is available for those who wish to customize it in any way for your own specific needs. However, if you would like me to do it for your company then feel free to book a service appointment: https://outlook.office365.com/owa/calendar/EricLegaultConsultingInc@ericlegault.com/bookings/. Hi Eric, nice tool. Where i can find the API Documentation? Do you have a link from Microsoft? I will always create a tool form OCM. Previous story Rate and Review MessageFiler for Outlook and Win a $50 Amazon Gift Card!